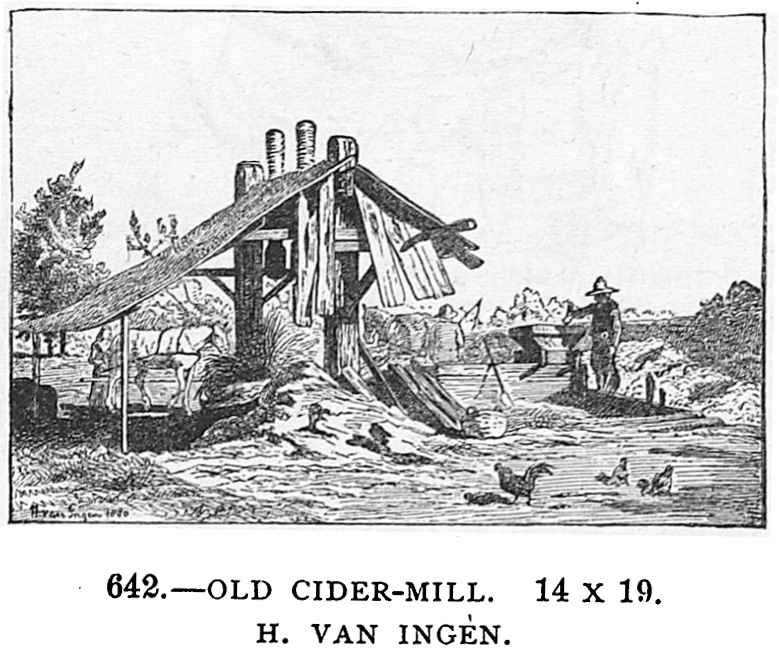 The earliest picture of a Kimlin Cider Mill is a watercolor of the original horse-powered mill which was located on the opposite side of the road from the current Mill. 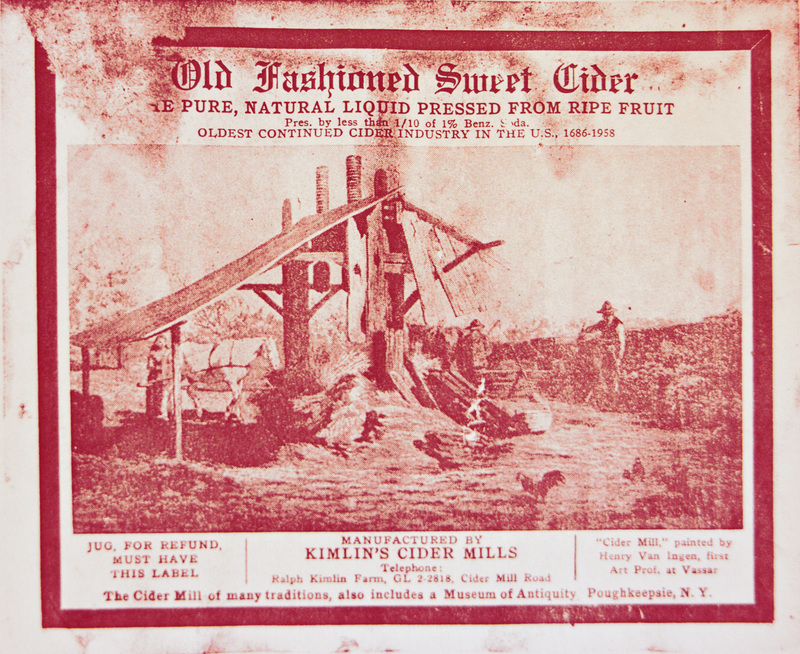 This watercolor was painted by Henry Van Ingen, the first art professor of Vassar College, and was reproduced on the Kimlin Cider labels and postcards. In our attempt to find better versions of the watercolor (or even the original), we recently found the watercolor featured in a writeup of an 1881 exhibition of watercolors. The printed version in the writeup is a little clearer than the other versions we have, plus it has the added benefit of helping pin down the date it was drawn. We now know it was drawn some time between 1865 (when Vassar was founded) and 1881 (when it was in this exhibition). 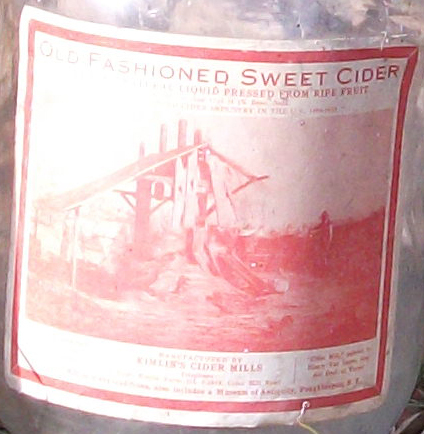 It is dated next to the signature, but we are not exactly sure what it says. We have reached out to the Vassar College Special Archives and the Vassar College Art Center, but neither of them have any copies of the watercolor. If you have any information, please let us know! This entry was posted in Uncategorized on March 13, 2015 by cidermillfriends.